So, grads: what are some of the things people don’t tell you about graduating? I. Completing capstone classes, moving, applying for jobs, and planning whatever your post-graduate adventure is can actually take up as much time as another class. II. You think, “I will have so much time once I graduate to do all the things I love!” You somehow have less time, which is a devastating realization. III. Comparing your post-graduate path to others post-graduate paths is a dangerous thing. Please know that no matter where the journey takes you after this season of life, you are no less valuable because you chose an unconventional after graduation route. IV. Suddenly, you’ll find yourself v emotional about Gilmore Girls & other shows that used to bring you joy?!??!?!?!? V. Not making money is really, really, REALLY hard. When you graduate you are so excited that you finally did it, but also scared. After being in school your entire life, you now need to leave and go into the real world. It’s a pretty daunting task. That the easy part is over and now the hard part begins, Job hunting. This will be your full time job for a while and it is SUPER SCARY!!!! It’s terrifying being in the dark about what’s next to come. What will I be doing this time next year? The uncertainty is haunting. Just live in the moment, take a deep breath and enjoy every day in the moment. Things will fall into place. We all expect to feel nothing but excitement when graduating but there’s an hint of sadness leaving the behind the place and people you spent the last 4 years with. Life just started! During school, I always thought that graduation was my end goal, something to work towards. Now that it’s here, I realize that there’s more to just graduation. It’s a bit daunting now that I’m off to the real world but also very exciting! Graduating is really scary. It’s nerve-racking. It’s confusing. You’re so used to being in school that when you’re done, it’s like “oh, so that’s it? Wait, what do I do now? Is there anyone to guide me?” Surprisingly, you find yourself missing the student life. I’m still in the “I-don’t-want-to-adult” phase so I’m having an extra hard time. Share your #RoadToRyerson with us on Twitter, Instagram, Facebook, and Snapchat. 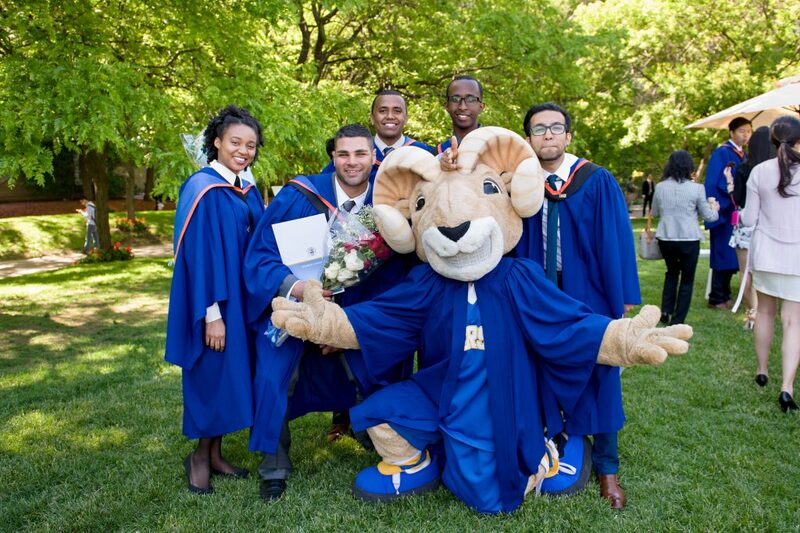 Learn more about #RoadFromRyerson.